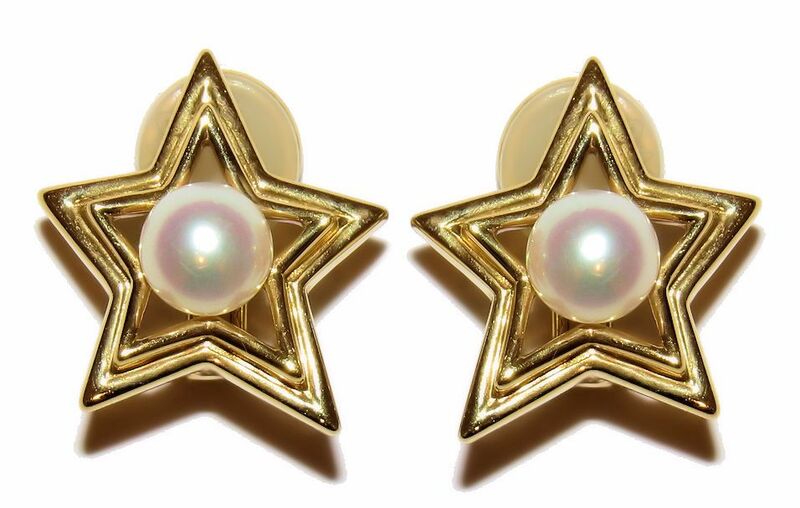 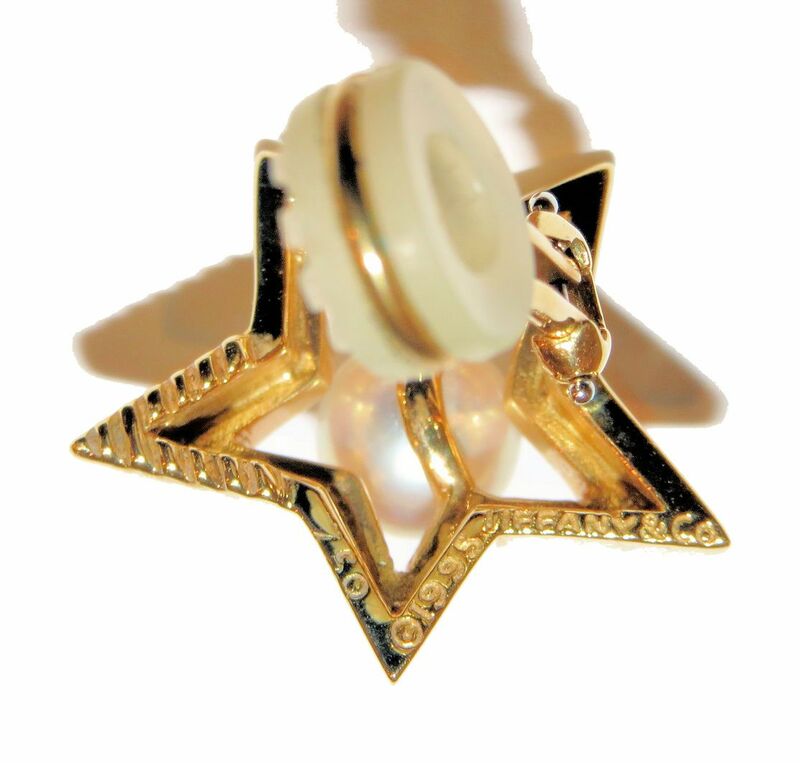 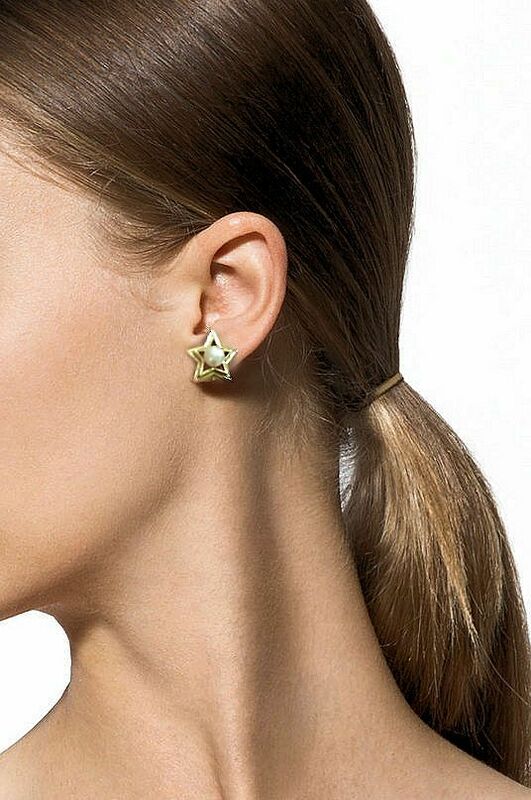 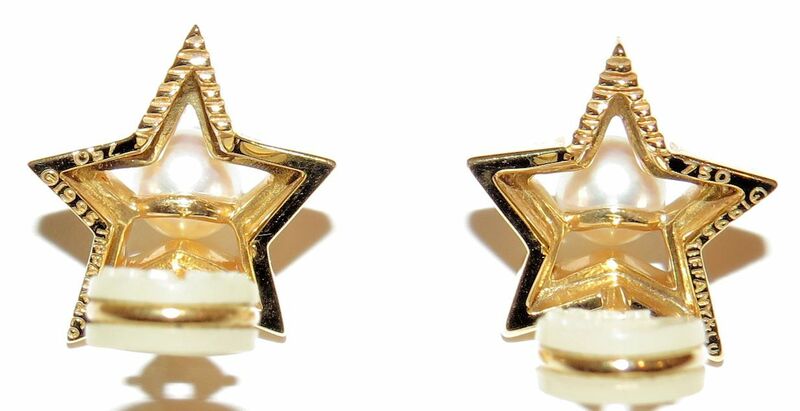 Vintage 18K Yellow Gold and Akoya Pearl star ear clips made by Tiffany. 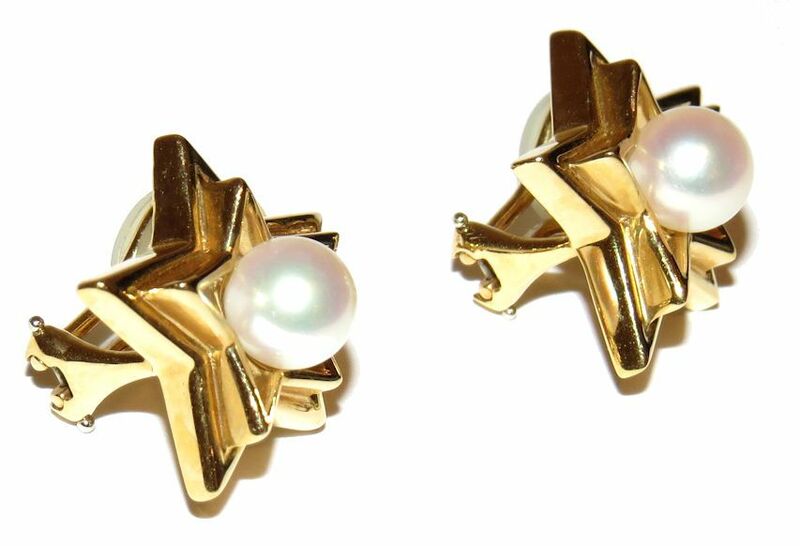 Dated 1995, signed Tiffany with the date and 750 for 18K gold, they are SUPER CHIC and retailed for $2100 over twenty years ago, likely double that now. 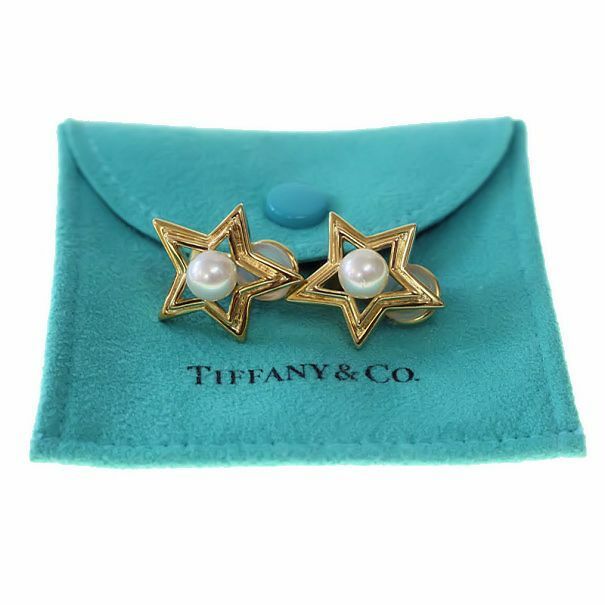 In MINT condition in the Tiffany pouch.